Hydroxycut Reviews - Does It Work For Weight Loss? Claimed as “America's #1 selling weight loss supplement brand,” Hydroxycut offers several products that can potentially fit your lifestyle and overall goals to lose weight. Hydroxycut, a brand of weight loss supplements, offers a range of products that contain its “key” weight loss ingredient, robusta coffee extract, also known as C. canephora robusta, which has been shown in some studies to help people lose weight. More specifically, C. canephora robusta beans are premium coffee beans that have not yet been roasted. As a result, these beans have a high level of chlorogenic acid, which can potentially help promote weight loss. This review takes a deeper look at Hydroxycut so you can decide if these products are right for you. We’ve included expert input from a Registered Dietitian and Certified Diabetes Educator, as well as independent scientific findings of Hydroxycut published by the U.S. National Library of Medicine. Interview requests with officials associated with Iovate Health Sciences Group Inc., the Canadian manufacturer of Hydroxycut, were unmet at the time this review was published. Keep in mind that this information is not intended as medical advice. Some people might have an adverse reaction to the ingredients in Hydroxycut, so before you take any of the Hydroxycut products, talk to your medical provider, first. According to the Hydroxycut website, the key ingredient “weight loss driver” called C. canephora robusta has shown “great results” in two scientific studies in which both groups followed a low-calorie diet and engaged in moderate exercise. In one 60-day study, people taking this key ingredient lost 10.95 pounds on average compared to the placebo group, which lost about 5.4 pounds. In the other study, which lasted eight weeks, those taking the key ingredient lost about 3.7 pounds; whereas those in the placebo group lost 1.25 pounds. The following information about Hydroxycut was provided by Ruth Pupo Garcia, a Registered Dietitian and a Certified Diabetes Educator who works at Adventist Health White Memorial in Los Angeles; and is a graduate of the California State University at Los Angeles Dietetics Program. With 20 years in the field of nutrition and diabetes education, Garcia’s expertise includes weight management, behavioral therapy, and public speaking. It’s important to note that Garcia is a source with no connection to Iovate Health Sciences Group Inc., the Canadian manufacturer of Hydroxycut. What Is Your Knowledge of Hydroxycut? It has been around for quite some time and has also been recalled in the past for potentially harmful ingredients. It is a stimulant type of supplement, increasing cardiac rate. Do Patients Ask You About Hydroxycut? To be honest, most of my patients have tried Hydroxycut and other supplements and have had poor or little results. This may be due to a lack of change in nutritional habits and not just the supplement failing itself. Is Hydroxycut Safe and Effective? It can be safe for healthy individuals who do not have a history of heart disease or high blood pressure, anxiety or other diagnoses. It’s best to consult with a physician prior to taking any weight loss supplement. The effectiveness has been noted in some studies, however, the effect is small. Some people report decreased appetite, which can help in weight loss. Does Robusta Coffee Extract in Fact Help People Lose Weight? Robusta is contributing a caffeine component and is known to benefit weight loss efforts overall. According to the American Journal of Clinical Nutrition, energy expenditure may increase by 100 calories per day with regular coffee consumption. Regular coffee can provide the same effects as Robusta extract. What Are the Potential Side Effects of Taking Hydroxycut? Some people report anxiety, jitters and some nervousness. It can also increase heart rate and blood pressure. What Are Your Thoughts on the Ingredients in the Female-Friendly Option? Definitely the folic-acid and iron are important nutrients in female nutrition. It’s a plus to provide 50% of the RDA for folic acid; however, the 2mg of iron is a very small dose, almost non-contributing. The avocado, mango and kiwi extracts benefits are unknown. What Lifestyle Should a Person Incorporate to Get Maximum Benefits of Hydroxycut? In studies that showed a weight loss using Hydroxycut, all participants followed a low or reduced- calorie diet. Usually, weight loss plans advise 1,200 calories per day, but individual needs vary. Who Would Make an Ideal Person to Take Hydroxycut? Perhaps a person with no prior medical history that lacks the energy to exercise, or wants to decrease appetite. Once again, these benefits are minimal, or may be a placebo effect, and a healthy diet and exercise are a requirement for losing unwanted pounds. Who Should Avoid Taking Hydroxycut? Anyone with heart disease, high blood pressure or sensitive to caffeine. Would You Recommend This Product to People Who Want to Lose Weight? I generally do not recommend stimulant supplements; as supplements are not regulated by the FDA for ingredients. It is perfectly acceptable to have coffee before a workout for added energy and some fat burn. For success at weight loss, we often search for a quick-fix or a magic pill. Weight loss takes time and effort. For some people taking supplements, Hydroxycut may provide some help; however, the true long-term success will come from sustained healthy diet and consistent physical activity. Hydroxycut products can be purchased online through the manufacturer’s website; as well as through several retailers including Walmart, GNC, CVS Pharmacy, Walgreens and Target. The Hydroxycut line includes the following products below; with descriptions attributed directly to the company. The use of supplement and alternative drugs continues to thrive and is becoming an increasing cause of concern, since many of these substances may have unexpected or unexplained medical consequences, according to “Hydroxycut® (herbal weight loss supplement) Induced Hepatotoxicity: A Case Report and Review of Literature” published by the U.S. National Library of Medicine. The findings, published in 2010, included the first reported case of hepatotoxicity (which implies chemical-driven liver damage) from Hydroxycut in Hawaii. The review noted that the use of a dietary supplement is gaining increasing popularity in the U.S. “as a quick-fix remedy with allegedly no side effects;” and that nearly one in five adults in America admits to using herbal medications for their diseases or health improvement, and 58% of those using these drugs fail to report such use to their primary care physicians. In one case report noted in the review, a 19-year-old male, who had no significant past medical history, presented to a community medical center with a two-day history of fever, severe fatigue, myalgia (muscle pain), arthralgias (joint pain) and an erythrematous (red) rash over his lower extremities. The teen had started using Hydroxycut approximately one week prior for fat burning and muscle building. According to the review, he denied any smoking or alcohol use, and was taking no other prescription or over the counter medication apart from Hydroxycut. Hydroxycut was first introduced in 2002, so these products have been around for a while, and even though they were recalled in 2009, Hydroxycut products were placed back on the market in 2010, and have remained ever since in markets worldwide. Nevertheless, in one study published by the Food and Drug Administration, a Health Hazard Evaluation Board noted the problem of “liver toxicity following consumption of dietary supplement, Hydroxycut.” Therefore, it’s important to keep in mind the potential side effects that can occur with taking these products. As mentioned at the beginning of this review, this information is not intended as medical advice; so before you take any of the Hydroxycut products, talk to your medical provider, first. 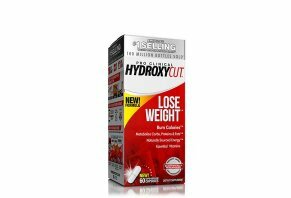 Write a Review for Hydroxycut!